B12 is a vitamin found in a variety of foods, such as fish, meat, eggs, and other dairy products. This vitamin plays an important role within the body’s essential processes, like brain function, energy production, DNA synthesis, and regulation of the nervous system. It is uncommon for most people to be B12 deficient, but the elderly, vegetarians and those infected with HIV are most at risk. The potential of a B12 overdose is not very likely, but it is most certainly possible. What Medical Conditions Benefit from B12 supplements? What are the symptoms of a B12 overdose? What is the recommended B12 dosage? Be sure to discuss your interest in B12 with a medical professional prior to beginning any supplementation. 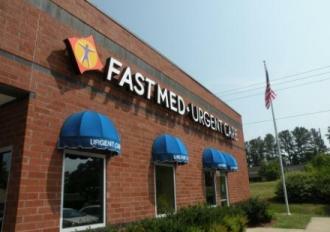 The experienced medical professionals at FastMed Urgent Care is dedicated to providing quality, personalized care that is both convenient and affordable. Our facilities are open 365 days a year, including nights, weekends, and holidays. We strive to complete each patient’s evaluation within an hour, so even on your busiest days, there’s always time for a visit to your local FastMed. Whether you’re concerned about a potential B12 overdose, have a broken bone, or are in need of a flu shot, FastMed Urgent Care provides countless services catered towards your basic health needs. Stop in today to learn more.